When Iggy first told me that we were going to have toasted siopao. My initial reaction was, “Toasted? don’t you mean fried” Iggy: “Fried, is there such a thing?” Ever since that day we’ve fed each other so many different foods that we tell each other to try. A box of toasted siopao. One toasted siopao is Php 9. I have tried two different toasted siopao places that he has taken me to. The first is the one along Visayas avenue and this is the other place is what his mom recommended for us to go to which is along Panay avenue right beside Quezon Avenue. This place is owned by his tita (aunt) who is from Naga. I am still a fan of fried siopao more than toasted siopao, but I will make an exception because Iggy loves toasted siopao. It’s not so hard to find the place, you just have to take a right at the giant National bookstore along Quezon Avenue and take a left after Tropical hut. It’s the second store after BPI express bank. 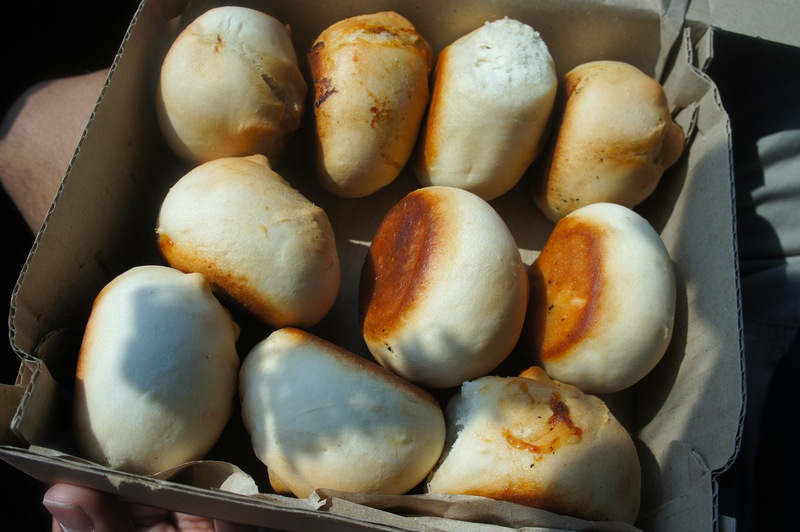 Toasted siopao is not your typical siopao and i do like it when I buy it fresh and hot. I heard that the lines here get long from the reviews of the place. So I guess It’s best to come during off hours. It’s definitely better than the other toasted siopao place that we tried at Visayas ave. You should try it for yourself and get a box! 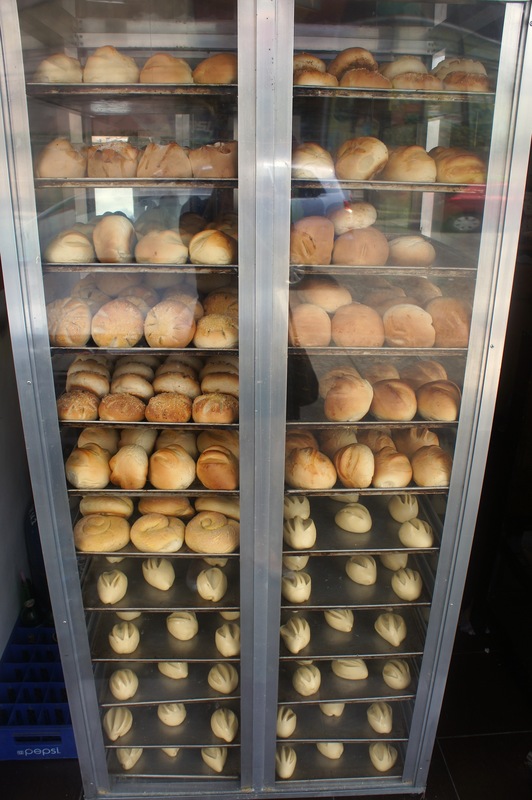 They also sell other tinapay (bread) here such as Steamed siopao, Malunggay pandesal, Tasty bread, Egg pie and Tuna bread. All for Php 2-35 pesos only! Something simple to add to your stuff to eat around manila. You just have to drive by, park right in front and bring some home.